I do love a slaw as it can make a simple dish really special – and bump up the vegetable content of your meal to boot. 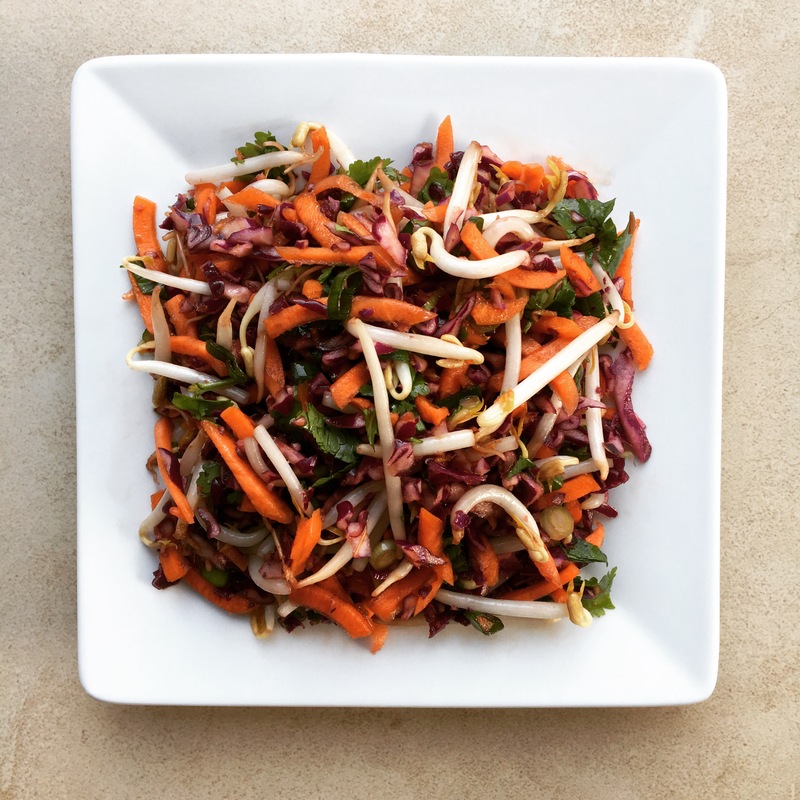 This Asian Slaw is fantastic for serving with a baked tofu burger, some marinated salmon or meats or as a side with some spring rolls. 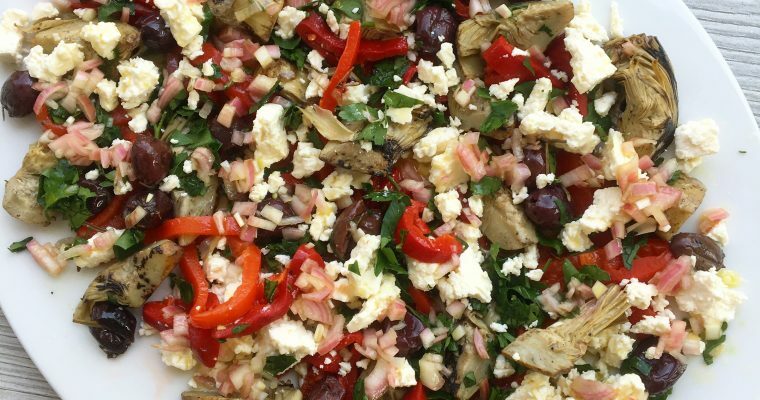 You can add cubes of tofu, prawns or cooked meats to it to eat it on it’s own and I also like to throw in some cooked black or wild rice for another texture and to make the meal more filling. It’s a fabulous ‘different’ edition to a buffet table too as it’s great for most diets. The key to this slaw is the sauce, which needs time to mix before being added to the salad. So throw together the sauce earlier in the day or the night before – it only takes seconds to make – and dress just before serving. If you are happy to eat fish sauce then it adds another layer of flavour, but is equally good without it. To make this slaw a super-fast make I use a food processor to chop the veg using the attachment which makes it into little batons as I feel then you can taste the individual flavours more than when they are grated and it doesn’t get mushy at all. You can always shred by hand and course grate instead though if you would prefer. Step 1 Mix all the sauce ingredients together in a jar or lidded container at least an hour before you serve. Step 2 Combine all the chopped vegetables in a large bowl and drizzle over the dressing before carefully tossing. Oh yes it certainly would! This looks delicious. We make stir fry, fried rice, or curry all the time and I have been looking for a delicious veggie side dish. Hope it fits the bill – enjoy! Love this Asian slaw so yummy!! Oh my goodness, I can’t wait to try this!! I saw Maple Syrup on the ingredients list and my mouth watered, ha! This looks delicious! So colourful too! So excited to try this one! 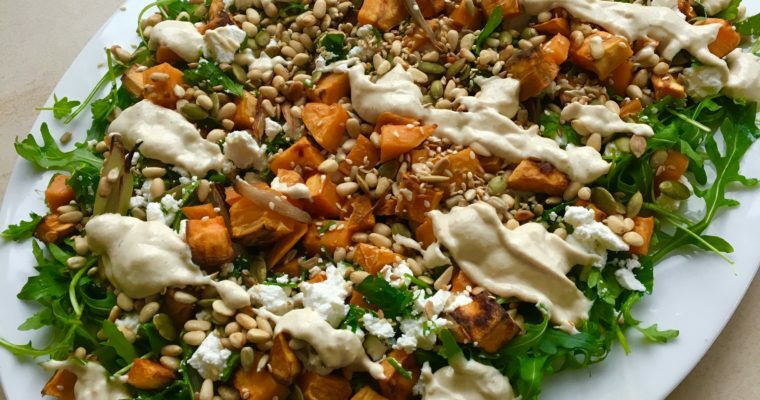 I’m currently on a healthy lifestyle change with my food and this recipe looks amazing to add to my go to healthy meal ideas. Thanks again so much!! now this is something for sure i will enjoy! i actually haven’t tried this but many of the ingredients are a favorite!